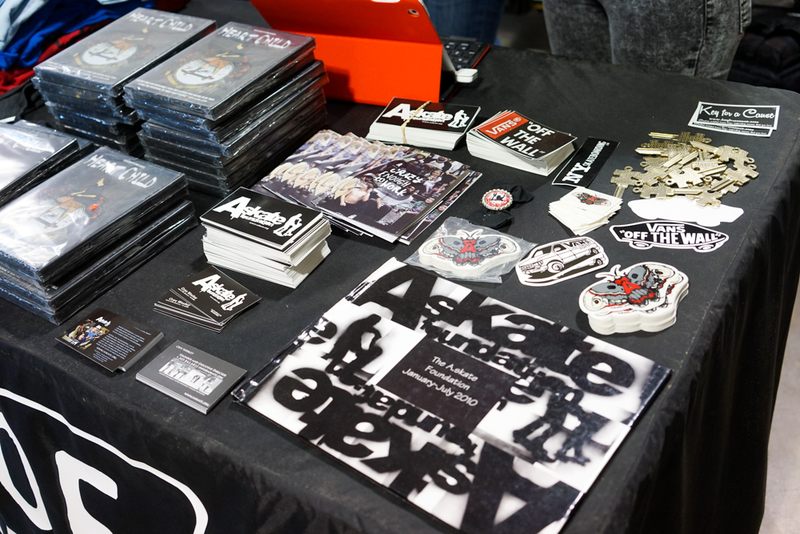 In 2012, a good friend of mine Derek Rinaldi asked me if I could shoot an event at House of Vans in Brooklyn. 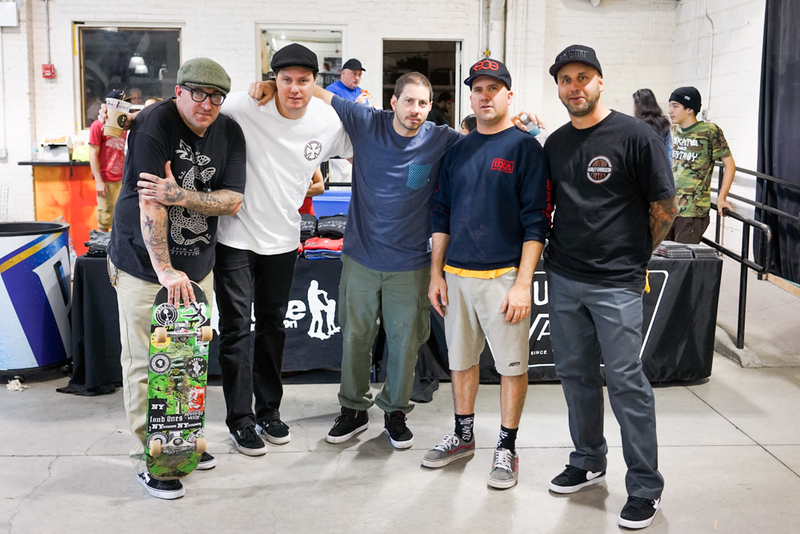 He explained to me that the annual event was for The A.skate Foundation, who was holding a skateboarding clinic for children on the autism spectrum. He didn’t have to say anything else – I was in. I explained to Derek that my daughter was diagnosed PDD-NOS (Pervasive Developmental Disorder Not Otherwise Specified, a form of autism), and it was a subject close to my heart. Though I’ve never brought my daughter to one of the clinics, I’ve covered it every year since. 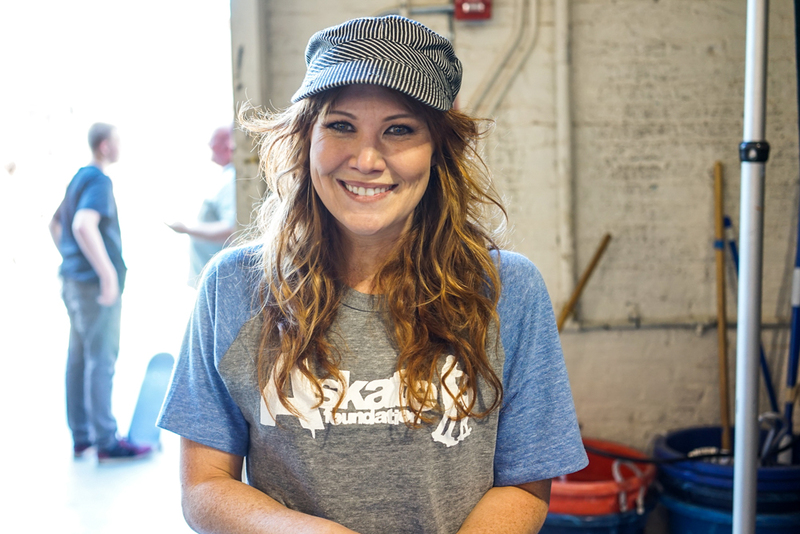 A.skate was founded by Crys Worley in Alabama in 2009 when she realized how therapeutic skateboarding was for her son Sasha, who was diagnosed with autism at 22 months old. 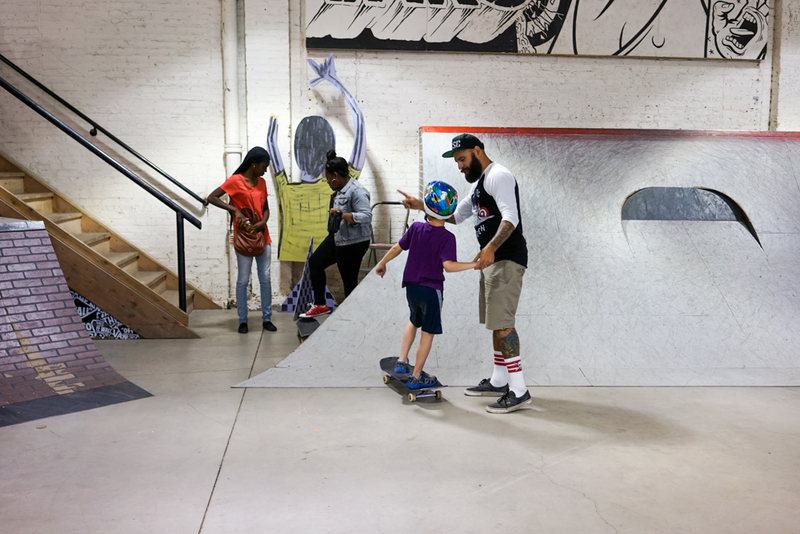 The foundation holds workshops that use skateboarding as one-on-one therapy, allowing children on the spectrum to learn on their own terms without the stressors of organized sports, and have a chance to socialize with others. Currently, they are trying to partner with a local university to conduct a study on correlations between brain activity and heart rate and autism and skateboarding. A.skate has expanded rapidly across the US since its conception and even touched down in Ireland and France. 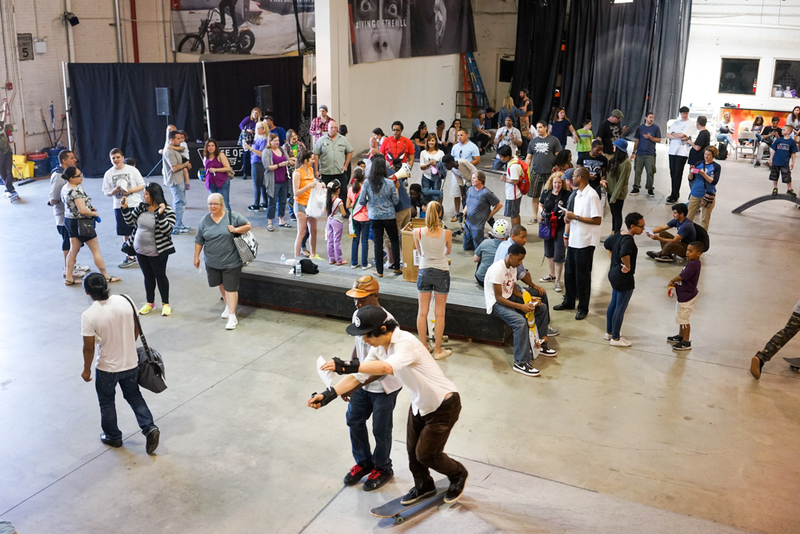 In the four years that A.skate has been hosting events at Vans, it’s grown from 40 to 125 participants this year. 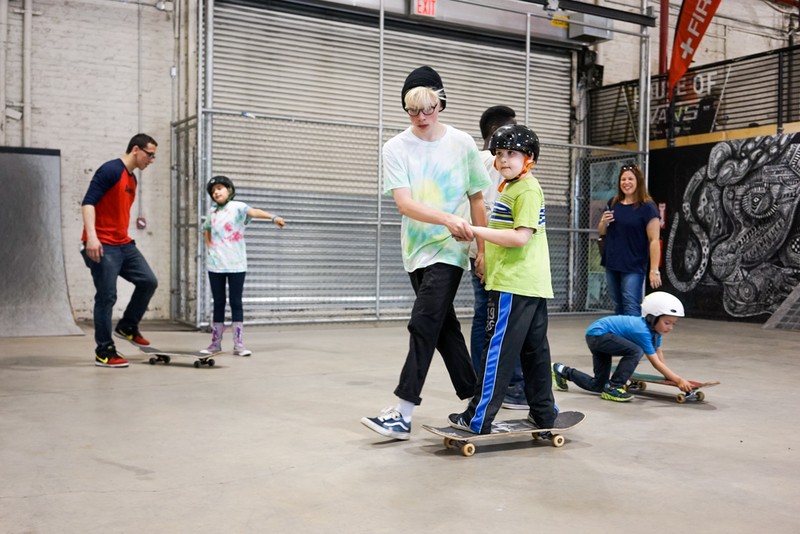 I interviewed Crys Worley below about how incredibly therapeutic skateboarding is for children on the autism spectrum, and how the foundation has not only changed the lives of the kids, but their parents as well. First off, as a parent of a child on the autism spectrum, thank you. Could you give me a brief introduction to who you are and where you are from? What was your reason for creating A.skate? I’ve been around skateboarding my entire life with cousins and friends but I personally am not a skateboarder. I sometimes fall when I simply walk and oftentimes walk into doorways and walls because I watch my feet when I walk, [so] I can’t even imagine what I would fall into if I were on a skateboard. I’m just as OCD and ADD as some of the kids we work with, but they are younger and have a chance at it – I definitely do not! When Sasha was 5 years old, I went into our local skateshop, Faith Skate Supply, and purchased him and his brother a skateboard. At the time I was looking for a pastime to help our days of Hyperbaric treatment go along faster. During a day of Hyperbaric, Sasha would have 2 treatments a day with a 4.5 hour waiting period in between. There was a small skatepark down the road next to a playground. Sasha would not play on the playground but would continue to wander over to the skatepark and walk around. That motivated me to buy a skateboard, with no expectations. I would take Sasha to this skatepark in between his Hyperbaric sessions and hold his hand while he rolled around. 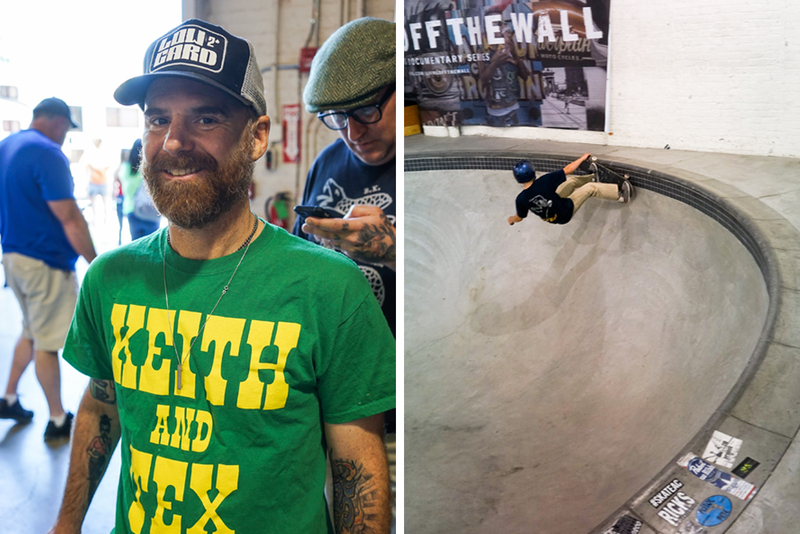 That is where Peter and I met – he’s the owner of Faith Skate and now a big part of our lives. At home Sasha would ride his board in the driveway with his brother Fallon who was 3 at the time. Skating around the driveway was the first time my boys connected and “played” together. I never knew the true impact that skateboarding would have on our lives and thousands of other families lives when I first brought home a skateboard... Over the years Sasha has learned to ask for his skateboard when he felt anxiety or frustration build up. This has saved several windows and other things in our home from being broken from a lack of impulse control when he is angry. Why did you think skateboarding would be the medium for interacting with children on the spectrum? Each situation is different. Not all persons with autism have the same challenges or behaviors. There are several levels of severity when it comes to the autism spectrum. For our family, we were faced with a severe form of autism in the early years. At age 3 Sasha started to make small progress and now at 11 it’s almost undetectable to most people who meet him for the first time. He’s been through hundreds of doctor appointments, thousands of hours of therapy ranging from Physical, Occupational, and Speech therapies. Early on, our challenges with autism were communication, motor skills, receptive and expressive language, severe Obsessive Compulsive Disorder, high anxiety, food texture sensitivity, no interaction with peers, severe behaviors that would result in banging his head on walls, breaking windows, fist through curio cabinets, and no impulse control, among many other issues. It seemed at the time as if Sasha had all ends of the autism spectrum rolled into one. Some children have only a few of these symptoms listed and some children have additional symptoms. Despite all of the therapies, doctor visits, alternative diets, and treatments the one consistent thing that stuck with his progression was skateboarding. I didn’t understand it completely until later on, but for some reason it “worked.” When he was anxious, I could sit him on his skateboard and push him back and forth down the hallway in our home. When he was bouncing off the walls and his attention span was non-existent, I could sit or stand him on his skateboard and he would focus and talk to me. When there was no interaction between him and his brother, I could get them both on their boards outside and he would laugh and smile at his brother and sometimes talk to him. This connection progressed and grew as he aged. 6 years later, we are looking back after A.skate’s creation and success seeing exactly what that connection was and see the connection that 12,000 children with autism have experienced because of our program. From the time children with autism are babies, they are placed into Occupational Therapy which is needed to develop motor, proprioceptive, vestibular skills and more. Skateboarding offers nearly every component of Occupational Therapy, which is why many of these children “crave” to skateboard. It stimulates parts of their brain that trigger focus, hand-eye coordination, and more. Our events are organized to help these kids be successful by providing a one-on-one instructor which is how they best learn compared to group instruction. It’s very challenging for kids with autism to participate in organized sports and although some do so and are successful at it, most do not succeed. Skateboarding offers an individualized sport that they can learn at their own pace but also be social with other kids on their own terms. Can you tell us a bit about the children who sign up and their families? The kids we work with learn just like anyone else would. 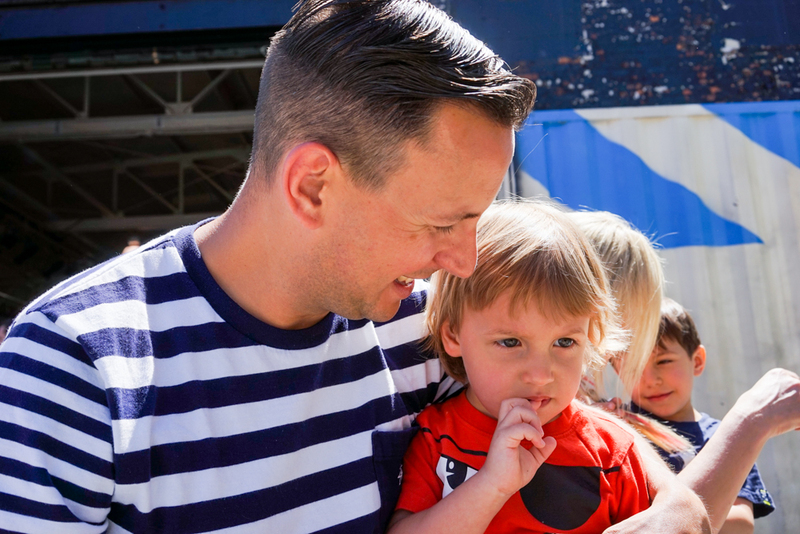 Families who participate are no different that anyone else’s family with or without autism. 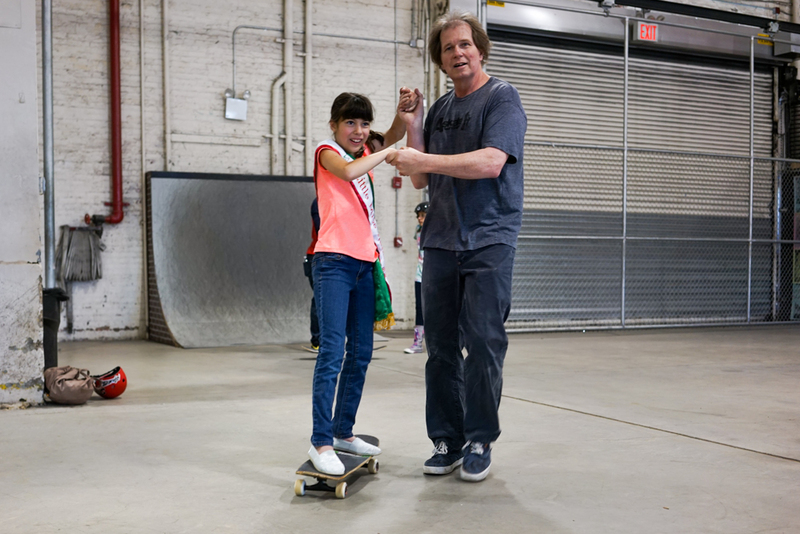 Our kids are capable of learning nearly anything, they just need to be given the proper tools and setting for their needs in order to learn… The kids are taught basic skateboarding skills, how to balance and push. 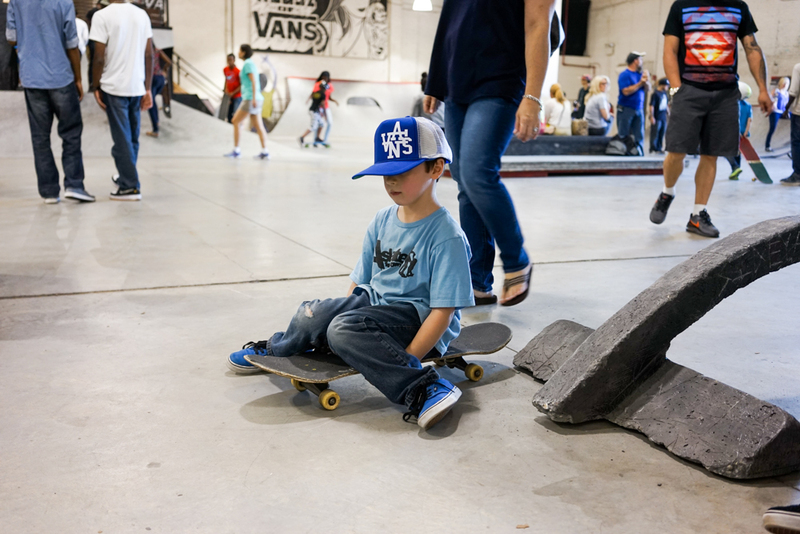 We also teach them skatepark etiquette, which is very important because we expect parents to carry over skateboarding in their kids lives by taking them to skateparks. Our events accommodate anywhere from 60-100 kids, 100 volunteers, and 250+ parents, siblings, and other family members. Parents who are proactive in their kids social life crave a social life of their own as well. Many times parents feel isolated with the amount of school, doctor visits, and therapies our children require on a weekly basis. 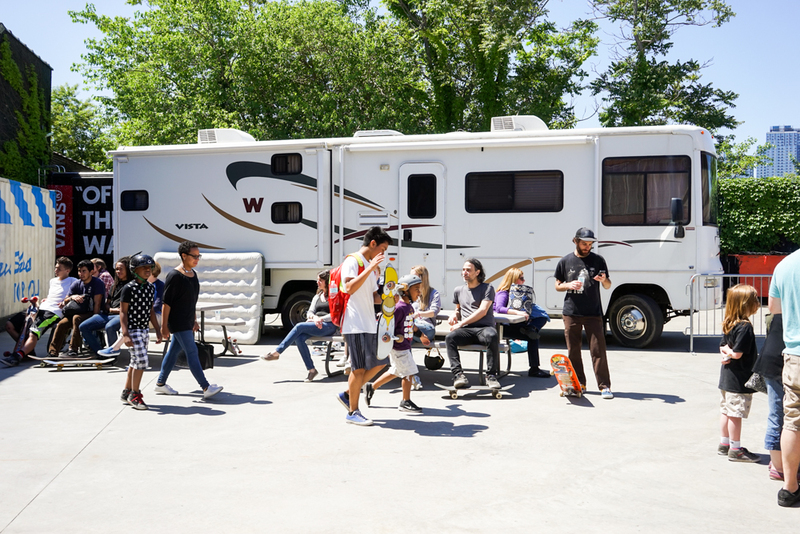 Most parents who meet at our events stay in contact, meet up at skateparks with their kids after our events, and connect on social networking. They have made lifelong friendships and have play dates at their homes. Many times our kids are not invited to birthday parties or sleep overs from kids in their schools… when families are connected through A.skate, oftentimes those days of isolation are over. We see progression all the time. 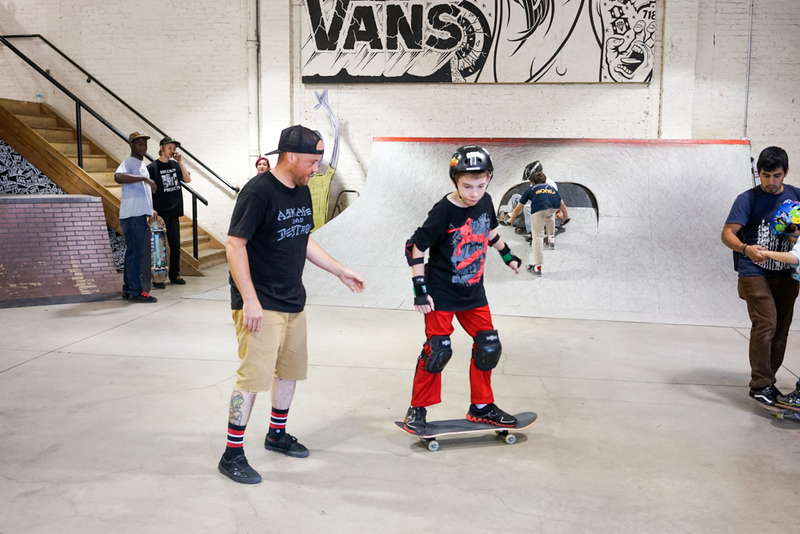 Kids who started at our events 5 years ago are now attending events and using their one-on-one instructor to learn new progressions with their skateboarding, kickflip, ollies, dropping in on vert, etc. As far as behaviors and other life skills, we hear stories from parents all the time. The most common statement that we receive is how their child is now social with kids in their neighborhood, they let their kids go to skateparks with other kids and their parents now, and that their kids now have an activity to do with their siblings which promotes inclusion in their family. Other statements that we hear a lot of are parents who have in home therapists have their child’s therapist supervise a half hour skateboard session at home prior to therapy and they see more focus and language during the session. When we hold events during a weekday, a lot of families have to keep their kids out of school for the morning session and then check their kids into school after our event. Parents have emailed us many times [to say] that their child’s school therapist sent a note home stating that the child has had the best therapy session ever and asked what was different prior to that child’s day. Now that you’re 4 years in, were you surprised by how supportive the skateboarding community was towards A.skate? Not at all! Skateboarding has saved our sanity just like skateboarding has saved the sanity of those who skate. They get it. The industry gets it. How many chapters are there now of A.skate and are you surprised on how it’s being accepted? We have programs all over that are A.skate-affiliated, but we have also seen numerous programs that mimic ours pop up all over serving the same purpose. We can’t be everywhere so it’s great to see others take initiative and give back when funding isn’t available for us to start it up in an area. We have programs in 17 states across the USA as well as programs in Ireland, France, Australia. We hope to be able to expand to Guam and the UK in 2015 as well as several more areas in the USA. Most of our programs are within several cities in each state that we have support in. You had mentioned that the University in your home state of Alabama recognizes skateboarding as an acceptable form of occupational therapy. How does that benefit A.skate? We are currently trying to find funding to partner with a local University to conduct a study on brain activity and heart rate between autism and skateboarding. Currently the study has not been put into place but we hope that one day we can make this happen. It would be life-changing for both skateboarding and autism. Skateboarding would no longer be looked at as a rebellious pasttime by those who don’t understand it and more funding would be available for using skateboarding as a therapy rather that funding just another information autism organization out there. We need action now to help shape and form their future. Learning self/impulse control and behavior management is a huge part in reaching that goal. 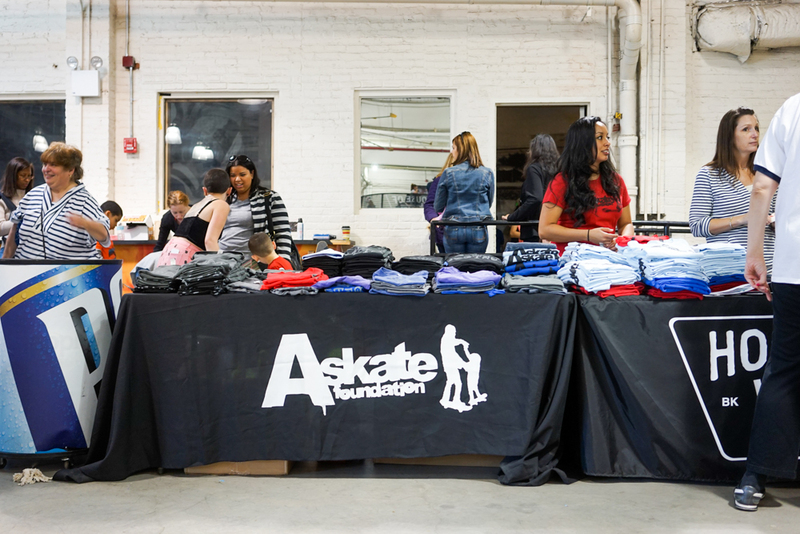 For more information about how you can support A.skate Foundation, head over to askate.org. 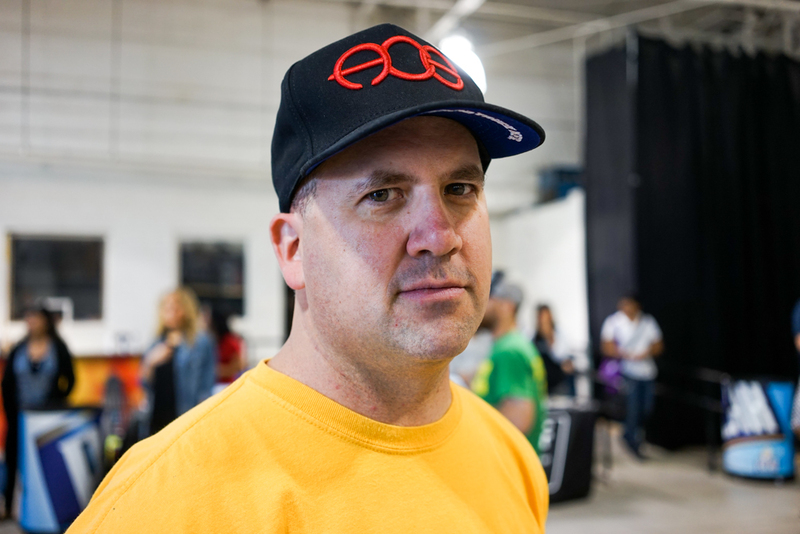 And thank you Derek Rinaldi for introducing me to Crys and the A.skate community. 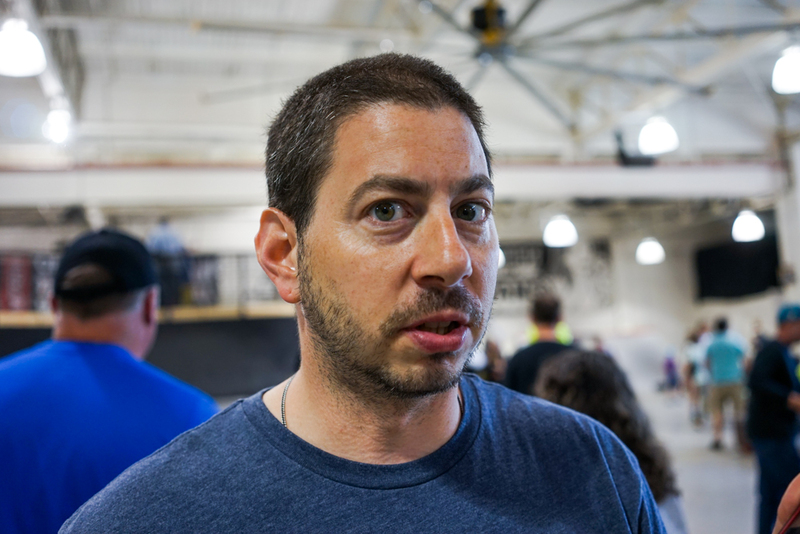 You can see more pictures I shot from this event at nyskateboarding.com.